What it is, Groove-ophiles! 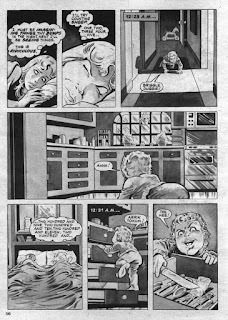 Today's tale, written by Bob Toomey, is a weeeeeeeeird one. Dunno if his kids or grandkids had given him a rough night's sleep or what--or maybe he'd been inspired by that Bugs Bunny episode with the midget bank robber posing as a baby. 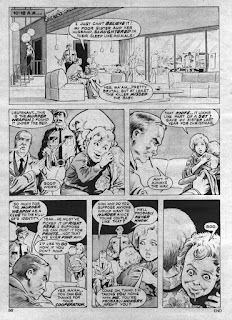 Still, artist Mike Zeck comes through like a champ with lovely, tasteful art and gorgeous gray tones. 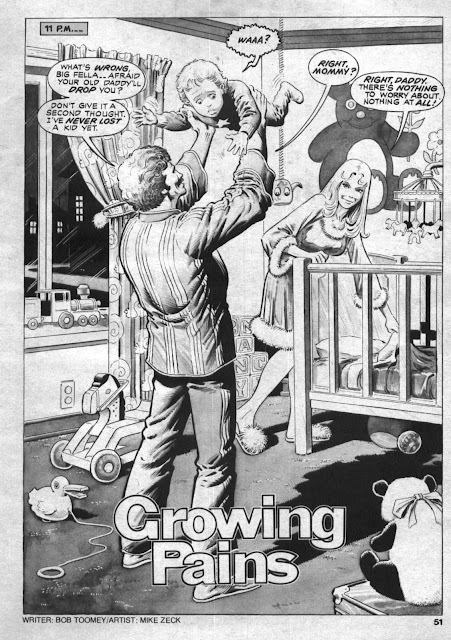 From Eerie #108 (cover-dated January 1980), prepare to suffer from..."Growing Pains"! Google should issue a search page with that brat's language... as they did for Klingons. Great story! "Cradle of the damned" could 've been a better title. But I think "For crying out loud, take a pill and leave me alone" is a very dangerous advice to give to your wife. I would hazard a guess that the inspiration for this tale came from childhood memories of being swung around by large men who thought they were being playful when they were actually scaring the life out of you. Mr Toomey probably never got over it and this might have been his belated revenge. 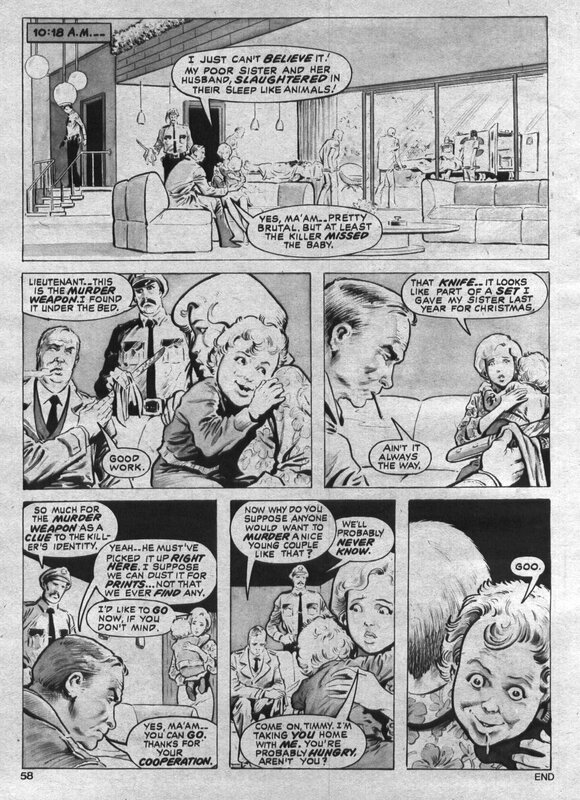 Not the strongest of stories but Zeck's artwork is really quite stunning. That cop gave up on dusting for prints pretty quickly! Ray Bradbury's "The Small Assassin" comes to mind,Oh Groovy one. I was unaware Mike Zeck had done any work for Warren. Really beautiful artwork. Off to eBay I go to purchase Eerie # 108.